“He said, ‘O Lord, God of my master Abraham, please grant me success today and show steadfast love to my master Abraham’” (Gen. 24:12). Moses indicates that the servant charged with finding Isaac’s wife was a godly man. He wants to obey Abraham’s request to the letter, and so he is careful to find out what to do should his mission go awry (Gen. 24:5). The Lord demands such fidelity of His people (1 Peter 2:18). Moreover, this servant will not go until Abraham releases him from his vow should his quest be unsuccessful (Gen. 24:8–9). Knowing that he must keep his word (Num. 30:2), he will not swear an oath until a provision is made if he cannot keep it. In today’s passage, Abraham’s servant shows himself faithful once again with his prayer for the Lord to give him success in his endeavor. 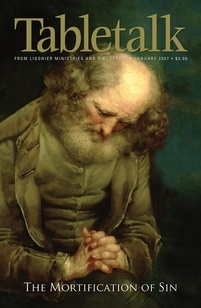 Thus the servant displays his deep trust in God, reminding us that the Lord’s holy people must be a praying people (Ps. 32:6). Notably, he asks God to reveal Isaac’s wife in a very specific manner. But is it appropriate to ask God for such signs in prayer? John Calvin addresses this issue in his commentary, concluding that we must look to Scripture for assurance and not lay conditions upon the Lord when we pray. Obviously, this is sound advice, reflecting the biblical principle that we may not put God to the test (Deut. 6:16). However, Calvin also writes: “The general law, by which all the pious are bound, does not prevent the Lord, when he determines to give something extraordinary, from directing the minds of his servants towards it.” Some decisions present us with several valid options, and so it is fitting to ask God to confirm His will more clearly. For example, we might have to pick one of two jobs that offers equal opportunities for us to fulfill our vocations. In this case, it would be wise to ask the Lord to act in order to help us choose rightly. We might ask Him to close a door and open another, for instance. Finally, Matthew Henry notes that Abraham’s servant goes to a well, a place of labor. He looked for an industrious and hospitable woman (Gen. 24:12–14), one who embodied the traits of an excellent and godly wife later prescribed in Scripture (Prov. 31). Like this servant, let us first seek to narrow our options by the clear teachings of God’s Word before we ask Him to facilitate our decision-making. Matthew Henry writes, “Those who would have good success must pray for it.” Prayer is essential for determining the will of God, but the Lord will never lead us to make a choice contrary to the clear teachings of Scripture. If you are faced with a decision between two valid, biblical options, ask the Father to give you guidance. But do not pray if you are thinking about disobeying His Word. Instead, turn from any course that violates the plain teaching of Scripture.